Karan Johar’s Ae Dil Hai Mushkil has received good audience response on the first day of its release, and there’s a message in it for the patriots of the gutter variety. In fact, it is the second tight slap on the face of the latter after the Army refused Rs 5 crore donation extracted from Johar for having Pakistani actors in his movie and senior ministers slamming such extortionist tactic. Now the audience has delivered their response. The movie, according to media reports, has done about Rs 18 crore business in the domestic circuit on day one – combined with overseas collection total earnings come to about Rs 22.5 crore. This despite another biggie, Ajay Devgn-starred Shivaay, being in the race for the Diwali audience. The rather impressive advance bookings in multiplexes reflect no collective faux patriotism-driven ill-will against the movie, which has Pakistani actor Fawad Khan in it. The message? Leave it to people to decide what they want to watch or read or enjoy. They understand what patriotism is; don’t force on them your version of it. They are intelligent enough — at least more intelligent than the street thugs — to understand that the mere presence of an actor from a hostile country in a film does not constitute an offence to India. They also know the idea of patriotism is too precious to be left to the interpretation of the street and idiots. If they find something repulsive to their sentiments they would reject it on their own. Political parties in India have always treated the power of the street with the certain degree of reverence, at the cost of civil liberties of the ordinary citizenry. Governments could act against the outfits threatening violence if they wanted. After all, the might of the state is too big for the lumpen elements to handle, never mind whether they carry any political weight. But they desist from taking action; more often than not it’s sheer opportunism. If there’s a ‘cause’ on display on the streets their resistance gets weaker. All this is well-known and need no elaboration. The point here is where does it leave the rights of individuals as citizens of the country? The instruments of the state in cahoots with criminal forces can make a mess of these. As an expose in a television channel a couple days ago said some members of the Maharashtra Navnirman Sena have been in the practice of taking money to engineer protests, including violent ones, in the city. With the police ‘managed’ they can organise protests of any size and intensity. Those caught on camera were also aware of making the manufactured agitation television worthy. Obviously, all of this happens in the knowledge, if not patronage, of the state. Joseph Goebbels, propaganda minister in Nazi Germany, believed in the power of the street. "Whoever can conquer the street will one day conquer the state, for every form of power politics has its roots in the street," he said. Our governments, it includes those of all parties, obviously carry the same conviction but won’t spell it out openly. Such an arrangement has to come at the cost of those who cannot fight back. It includes all of us who have other interests in life than the politics of power. It chips away at our freedom to live freely in a free country. 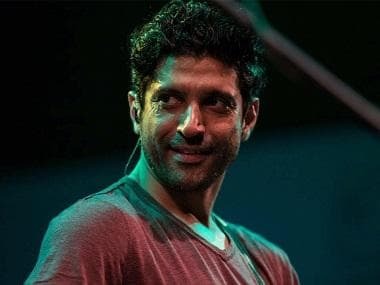 As this piece is being written there’s news that filmmaker-actor and the maker of film Raees Farhan Akhtar has been threatened by the MNS for refusing to pay Rs 5 crore to the Army Welfare Fund. Obviously, nothing has changed on the ground after the controversy over Ae Dil Hai Mushkil. The slaps from the audience and the Army have not worked. 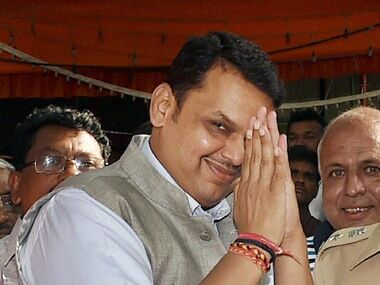 The Devendra Fadnavis government has a challenge on its hands. Tackling the MNS for the second time will require the will of the state more than its might. Will it allow people to decide on the movie and come down hard on street power? Let’s wait and watch.